1 load of laundry is the extent of my cleaning today I've decided! Protest! Outside my window today I see little patches of orange and yellow, and although I LOVE the fall in Ohio, I am not prepared for what lies beyond it. The horrible predictions for this winter are already out there so I choose to pretend it's further off then it is. 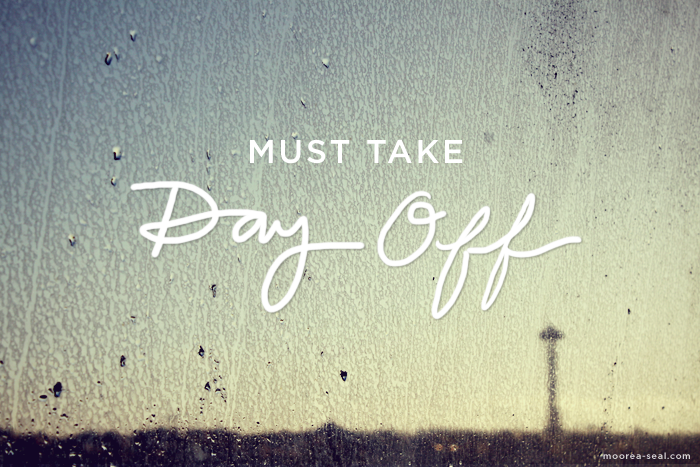 I'm trying to decide what will make it feel the most like a day off - the older you get the more you think about making time count. And we were created to rest.... and spend time in the Word. As I studied in Daniel today the devotion I was studying ended with this prayer, Father, capture the hearts of those lost in kingdoms of their own making — ourselves included — and seize our affections for you and you alone, the only true King. Kingdoms of our own making...whoa. I'm trying to view any potential conflict or decision making first through the eyes of examining my own heart - does any push-back come from my 'selfish kingdom'? From a 'how dare you question me' attitude? I sure hope not, but what a question to use before reacting? "My day-off prayer...Lord I'm SO interested in living for you, seeing with your perspective, understanding those that need help and that need you, and for a day of rest. Amen."